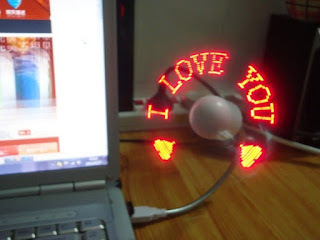 USB Programmable LED Fan with custom message now available at Tech Zone Pakistan at a very reasonable price. You can update any message with the help of its software and data cable provided inside the package. 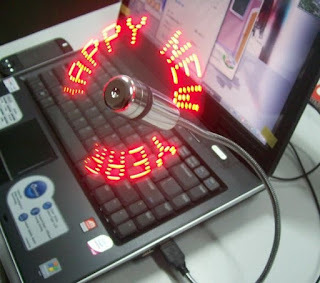 Best gadget for promotions and gifts. your words can be programmed. Note: The CD We send you includes many Language,such as English,Japanese,Spanish,simplified Chinese, traditional Chinese. LED color could be RED or BLUE, will be sent at random.